We have, in collaboration with the Aneurin Bevan University Health Board, developed a new programme which aims to support people with both a learning disability and a mood disorder. The Mood Awareness Programme (MAP) is a pioneering psycho-education course for people with a learning disability to acquire techniques and strategies to help them manage their mental health, experience reduced symptoms and have longer periods of good mental health. 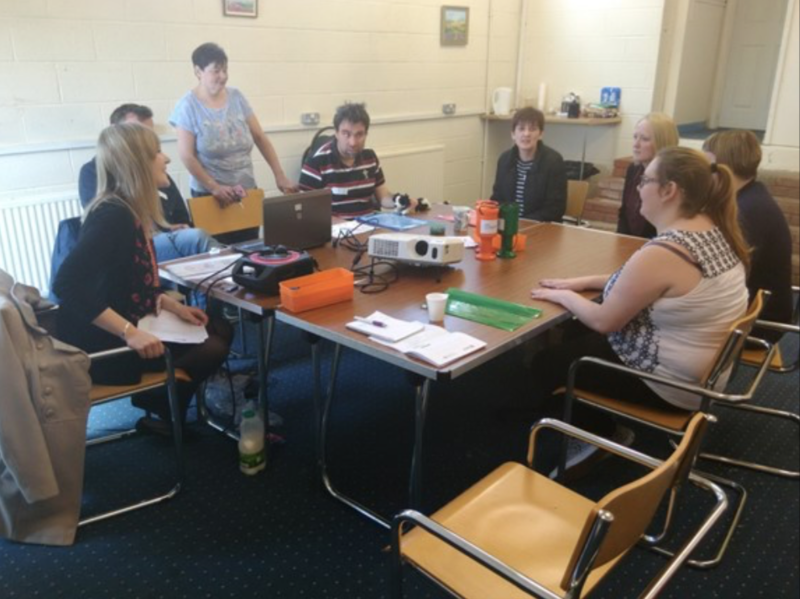 MAP has recently been piloted in Bargoed with members of Caerphilly People First where the course ran for 11 weeks. MAP sessions include learning about the causes of mood problems and what can help through discussions, exercises and fun activities. They also cover information about staying healthy through eating and sleeping well, exercising, how to get along with other people and how to relax effectively. MAP co-facilitator Rebecca Lynch, who coordinates psychoeducation programmes at NCMH, said, “It has been such a pleasure to be part of this pilot. It’s a hands-on and very active programme. Participants can attend with their carers and support workers, or come along on their own, and it’s great to get feedback about what works and what we can change to make it better. It’s been a steep learning curve and we’ve been reviewing and adjusting the course content each week.